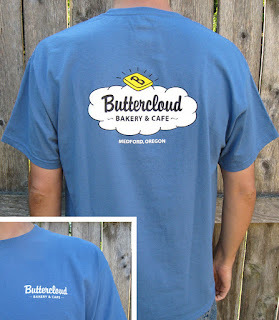 Buttercloud Bakery and Cafe: T-shirts! Our T-shirts have arrived! Buy one now to show your enthusiasm for Buttercloud before we're even open! To see all four different styles of shirts simply click on the "Merchandise" tab above or click here.